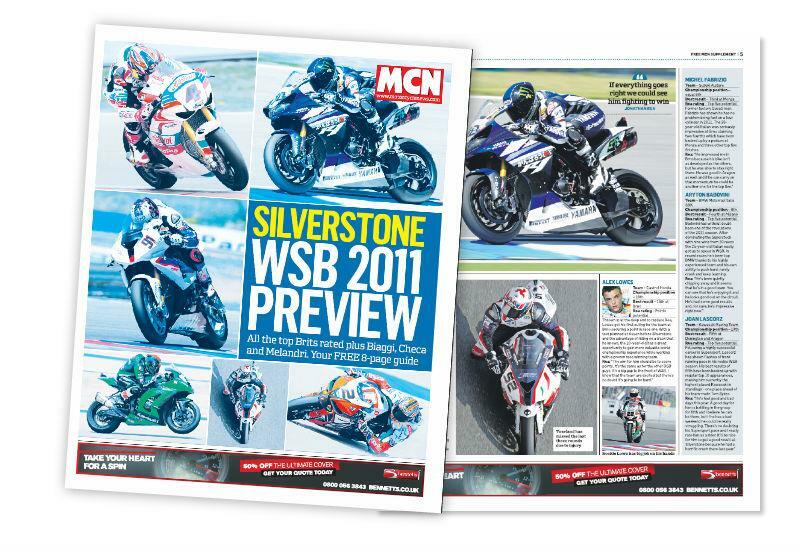 Inside this week's MCN (Wednesday 27 July), we preview this weekend's British round of the World Superbikes championship at Silverstone. To get you up to speed with all the action we've spoken to the three 'Aliens' of WSB - the riders who have dominated the podium this season - Carlos Checa, Max Biaggi and Marco Melandri. We've delved into the fortunes of the Brit contenders to get the inside stories on who's hot and who's not. Plus we've asked last year's runner up Jonathan Rea to rate the chances of all the top men - including the BSB wildcards. And Chaz Davies takes a look at our World Supersport heroes, who are currently leading the world. Gino Rea will be going all out to build on his maiden win at Brno in World Supersport, while Sam Lowes is simplay a race win waiting to happen - and Silverstone could be just the circuit where it all comes together for him. Last year thousands of fans enjoyed some brilliant racing and got the opportunity to witness two all-Brit podiums in WSB along with Ireland's Eugene Laverty winning a thrilling WSS race. This year there's no doubt the competition is tough, but after speaking to the Brit riders about the upcoming home race weekend, they are well up for the challenge. Tickets for this weekend's race are available from £20 in advance. Children aged 15 and under go free. For more information, or to purchase tickets, go to www.silverstone.co.uk or call 0844 3728 260. Get our guide to the British round of the WSB championship and all of the inside information in this week's issue of MCN, on sale now.